GOP Leader Says Despite 'Challenges,' Boehner Plan Has Party's Support : The Two-Way The debt plan put forward by Speaker Boehner is facing some hurdles, but House Deputy Whip Tom Cole (R-OK) says the plan is being worked on to include all savings promised initially. Cole says his plan is not to allow a U.S. default, so he's ready to support a "reasonable compromise." U.S. Rep. Tom Cole (R-OK). 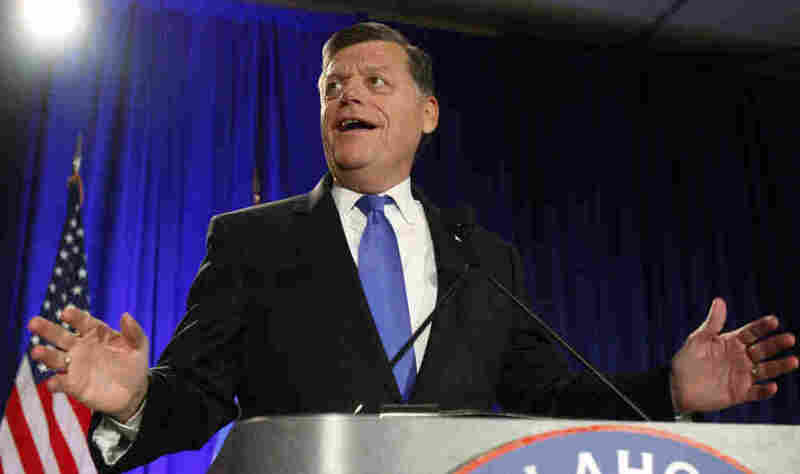 House Deputy Whip Tom Cole (R-OK) told NPR's Steve Inskeep today on Morning Edition why he's supporting the now-delayed Republican debt limit plan, championed by Speaker John Boehner (R-OH). Cole needs to help find 218 votes to pass the plan in the chamber and he admits while there are some "challenges" facing him, he believes the vast majority of the Republican conference is behind Boehner's plan. He seems confident that he probably won't need Democratic votes to pass it. But yesterday, the plan was held up after intense criticism from within the Republican conference after the non-partisan Congressional Budget Office reviewed the Boehner plan and determined the plan would save $851 billion over 10 years, instead of the $1.2 trillion originally promised by Boehner. The CBO estimate caused enough worry that Boehner is revising his plan and a House vote was delayed a day and will now happen Thursday. Cole shrugged it off, saying it only shows the "rather arcane method" of tracking Congressional scoring — that is, the bill's potential effect on government income and spending. Instead, Cole highlighted differences between the Boehner plan and one offered by Senate Majority Leader Harry Reid (D-NV). He said Reid's plan only saved money by taking into account the presumed end of the wars in Iraq and Afghanistan. He says they'll end but that's not a real budget savings because "that's money nobody was planning to spend in the first place." When Steve asked about savings in the GOP plan, Cole says the target is still $1.2 trillion dollars in initial spending cuts. He Boehner's aides are now looking at additional cuts to meet that goal. Cole added that the plan also includes about a trillion dollars in additional spending authority and another $1.8 trillion in cuts would be identified by a bi-partisan panel that would report back by the end of November and Congress would vote on the recommendations. "So, overall, it's a $3 trillion dollar plan and I think that's where it will end up," he said. Steve asked Cole what he thought about the critics who say it's a bad thing to make the kinds of billion-dollar changes happening now to the Boehner plan on such short notice and with such pressure. Cole pinned the blame directly on the president. He said Republicans put forward a budget shepherded by Rep. Paul Ryan (R-WI) that Democrats rejected and he said they passed the Cut, Cap and Balance bill that the Democratic Senate rejected. "Frankly, it's the Democrats, in my view, the Senate and the President, who failed to put a plan on the table and failed to move anything through a legislative body they control," he said. Still, Cole ended the conversation on reconciliatory tones. Is he willing to let the country default to get a exactly the plan he wants? He said no. "I don't expect to get a bill that I want," he said. "I expect to get a good compromise bill. And I'm certainly prepared to support a reasonable compromise."